Have you ever tried to sell something quickly (desperately) by lowering the price well below market value only to discover no one will bite? If so, your frustration is not unique. You’ve just experienced the quirky, seemingly-counterintuitive nature of the human consumer. It’s long been known that pricing can make or break your sales, even when the value and quality of the product or service hasn’t changed. To the consumer, it matters not that you’re offering them the deal of a lifetime. They’ve already decided that the price is too low and, therefore, something is amiss. Of course, it’s all in their head, but the effects of pricing have real-world outcomes, such as a loss of sales because the set price doesn’t seem to match the perceived value. This is just one of the reasons why it’s wise to know a few basics of psychological pricing and how it contributes to a product’s perception and, in turn, sales. All aspects of a pricing strategy are important to the success of a product, but psychological pricing can have a very significant influence on how consumers perceive a product’s value. In a recent post titled “Focus on the Why,” we noted the critical function emotional responses play in consumer buying decisions. Why a product was created or why a company does what it does speaks directly to consumers’ emotions and creates a strong call to action as well as brand loyalty. According to Shelley Frost of Demand Media, psychological pricing works on the same level, by tapping into a customer’s emotional responses to promote sales. “Instead of appealing to the rational side of the consumer, this strategy appeals to their emotional side. The pricing may aim to strike a thrifty note with a bargain or stir up feelings of prestige with a high-end item,” Frost said. 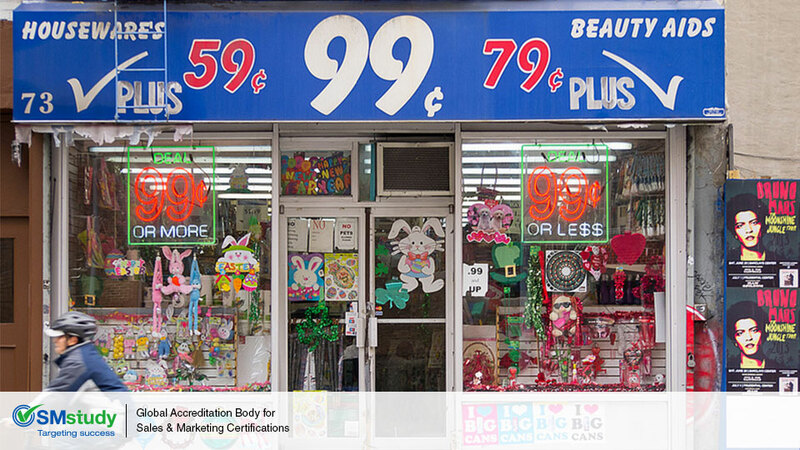 Odd Pricing – Quite simply, it’s the illusion of the difference between .99 and $1. We humans perceive a real value difference between the two even though we understand logically the difference in price is a mere .01. Prestige Pricing – The opposite of odd pricing, prestige pricing creates the perception of higher quality by pricing a product or service to a rounded number. For example, $1 instead of .99. Comparative Pricing – Similar to the straw man definition, comparative pricing sets up a false comparison so the consumer finds one offer decidedly more attractive. Product Bundle Pricing – The gift basket of marketing ploys, product bundle pricing offers a discount on a group of items packaged together. A win-win situation for marketer and customer. Psychological pricing may have a touch of the “dark arts” about it (it is, after all, a system of psychological manipulation), but it’s been proven effective and is at this point nearly ubiquitous. So the next time you are selling an item and feel the temptation to set the price low in order to turn a quick buck, consider that you might be selling yourself short. A higher price tag, whether fair or not, creates the illusion of greater quality and value and may actually stir up the deep psychological urge to buy compared to the friendly bargain price you thought would create a fast sale. SMstudy Guide, Digital Marketing, Pg. 53.